As we age, our teeth loose the natural brightness they had when we were younger. You can renew your smile's natural brilliance with professional teeth whitening solutions from Tacoma Dental Centre. Modern whitening systems achieve noticeable results quickly, in as short as an hour with in-office treatments, with a minimum of fuss. Take a look at our teeth whitening solutions to discover the right one for you. We offer the Opalescence professional whitening system. Opalescence is a safe and effective, award-winning system that has been in use for over 20 years. It comes in a variety of formulations and treatment methods, including at-home and in-office treatments. In-office treatments let you achieve the quickest results, often in less than one hour. After discussing your whitening options and settling on your desired shade of white, our specialist will apply the treatment to your teeth, and you simply wait for the whitening process to work. You'll be able to see the results immediately after the treatment is over. At-home treatments take a bit longer, but they allow you to whiten your teeth on your schedule. The process uses a set of comfortable whitening trays that you wear up to an hour each day for about 5-10 days. Opalescence treatment gels come in a variety of delicious flavours so the treatment tastes great too. 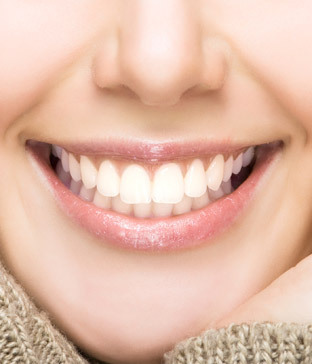 If you'd like to achieve a whiter smile, contact us today to set up a whitening consultation.